The Rev. Robin Landerman Zucker is our Interim Minister. Rev. Robin received her Masters of Divinity from Harvard and was ordained to the UU ministry in 2000. She is in final fellowship with the UUA. Robin served three congregations and worked as a professional hospice chaplain prior to launching her part-time community ministries. Most recently, she served as Assistant Minster at the First Unitarian Church of Pittsburgh, where she focused on worship, pastoral care and adult faith development. 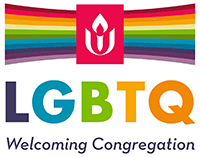 Do you have a question about Unitarian Universalism, the life of this community, or your own spiritual journey? Are you struggling with life’s challenges, seeking support or resources to help you create meaning of it all? Do you have ideas to help enrich congregational life? Schedule a time now to talk or meet with Rev. Robin.